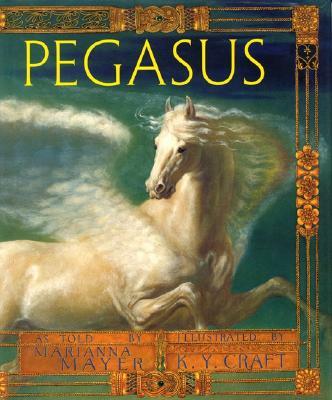 Condemned by a jealous king, Bellerophon must win the trust of the legendary winged horse Pegasus or face certain death. From the poignant meeting the growing bond of friendship between horse and man to the dramatic slaying of the fearsome fire-breathing Chimera, this is an unforgettable adventure that will stir the imagination of young and old alike. Featuring glorious paintings that readers will want to savor again and again, here is a magnificent edition of a timeless Greek classic.